Jimmy Scott, also known as Little Jimmy Scott, was an American jazz singer known for his unusually high contralto voice, which he developed due to Kallmann’s syndrome. He recorded a series of hit ballads and love songs in the 1940s and ’50s, but his career declined by the early ’60s mainly due to his physical limitations. Scott, however, enjoyed a major career resurgence in the 1990s. Born “James Victor Scott” in Cleveland in 1925, he was diagnosed with Kallmann’s Syndrome at age twelve and was only thirteen when his mother was killed by a drunk driver. 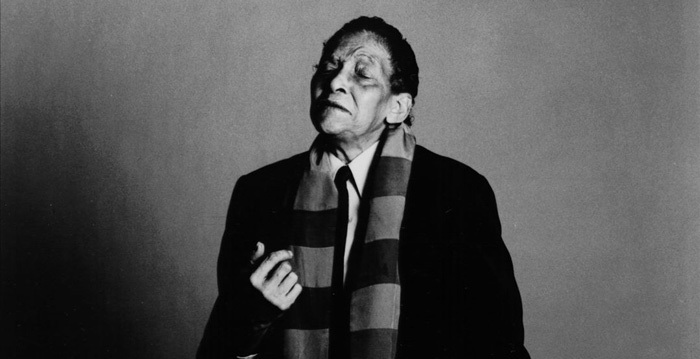 Jimmy Scott inherited his mother’s passion for music and started singing at an early age. He rose to prominence as “Little Jimmy Scott” in the Lionel Hampton Band, when he sang lead on Jack Keller’s song “Everybody’s Somebody’s Fool” in 1949. The song became a top ten R&B hit in 1950. The record executives who controlled the jazz scene during the 1950s and ‘60s exploited his talent and didn’t credit his name on the record. Scott was bitterly disappointed due to such injustices. Scott returned to Cleveland and worked several jobs, performing rarely in local jazz clubs. Scott enjoyed a career resurgence in 1984, when famous jazz station WBGO in Newark invited him to perform on the air. In 1992, Warner Brothers released Scott’s album All the Way, which received a Grammy nomination. He went on to release eight more critically acclaimed albums in the next few years. Scott died of cardiac arrest at his Las Vegas home in 2014. He was 88 years old. Jimmy Scott won several awards and accolades in his lifetime, and has been posthumously awarded many more. A few of them include Rhythm and Blues Foundation Pioneer Award, NEA Jazz Master Award, and Kennedy Center Living Jazz Legend Award. He was inducted into the R&B Music Hall of Fame in 2013. He was married five times and had a son named Tracy Porter.